In my last blog entry on Walter Benjamin and comedy, I pointed out how Benjamin was deeply interested in the relationship of comedy to tragedy. The figure of the rogue and the comic schemer are, for Benjamin, central figures which disclose the comic “inner lining” of tragedy which we see in the mourning play. Comedy, in the figure of the rogue or imposter, is “linked to the representative of mourning.” The mystery of mourning, for Benjamin, can be found in this comic figure. And, as I pointed out in the last blog entry, Benjamin marks the original relation between comedy and tragedy in the displacement of tragedy by Socrates in Plato’s dialogue, The Symposium. Socrates “silence” is different from the silence of the tragic figure because it is “histrionic” and it spurs dialogue. Socratic dialogue works by way of irony. And as Benjamin notes, at the end of The Symposium Agathon (a tragedian) sits together with Aristophanes (a comic playwright) and Socrates (who mediates between the two). But what does this mean? What makes the “intriguer” or the “imposter” so special in Benjamin’s mind? Does he bring out something that we find with Socrates? To be sure, Benjamin leaves this out, in a Socratic manner, and asks us to connect the dots. First of all, isn’t Socrates called an “imposter” by Alciabades in The Symposium? And isn’t their dialogue, which is prior to the final scene Benjamin discusses, historionic? The answer to all of these questions is yes. Benjamin leaves out the fact that Alciabades tries to expose Socrates as a fake. He is leading young people on so as to seduce them. Socrates, in response to the drunken reveler, argues that Alciabades is an overemotional lover and that he lies. And, to be sure, when Alciabades comes into the room he takes over the space. He knocks loudly at the door and when they open it he stumbles in with an entourage of flautists. In the sense I discussed recently vis-à-vis Michel Serres’s reading of sound, space, and imposition, we can say that this gesture was comical. It, as Serres might say, “occupies” the space. And Socrates, with his retort, comes to “counter occupy” it. And, as Serres might say, this occupation is parasitic. It is an imposition. Socrates, in response, is also parasitic. He feeds, so to speak, on what Alciabades has introduced into the space. And, in shaming him, Socrates demotes him. He refuses to let Alciabades sit next to him and, instead, he chooses Agathon and Aristophanes. In other words, the relationship of comedy to tragedy, established by Socrates, was created out of a cruel joke at Alciabades expense. There is something daemonic about it since Socrates sees Alciabades as an imposter when, in fact, he is. An imposter is not simply someone who interrupts a party or space; rather, an imposter “imposes” something on this or that space. As Serres would claim, the imposter takes over the space. 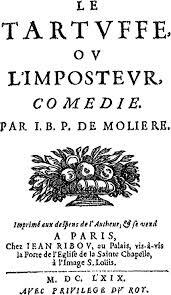 Serres’s reading can certainly be used to interpret what Bejamin’s understanding of comedy as the “inner side of mourning.” After all, in the displacement of one thing by another (for instance tragedy by comedy) there is something comical going on. But that comedy is, in some senses cruel because, in order to speak and to draw on energy, it must feed on the already existing energy in this or that space. What Serres is most interested in is the fact that the “economic” meaning of the term has been lost. He wants to retain it and to take it away from all its negative uses. (On this note, I would like to point out that he overlooks the association of Jews with parasites in his reading; this omission is telling because it was used, for instance, by Nazi propagandists in many caricatures; I hope to return to this in the near future). Serres sees the comic imposture as brining out the workings of energy and force. Like Socrates or Alciabades, the “imposture” slash comedian “takes over the house.” And he “imposes” the ultimate dilemma of human existence, culture, and politics: “exclude or be excluded.” “he chases everyone out so that he can be the master of the house. He imposes the following dilemma: exclude or be excluded”(202). Referring to blood and wine, two major elements of Christianity, Serres points out that in Moliere’s play, Tartuffe, the “hostess loses blood and Tartuffe gets wine.” And “between blood and wine, between wine and blood, a new process appears that tradition calls transubstantiation.” So that now “the question of Tartuffe is suddenly turned over as it has always been: what is religion doing here in the parasitic relation? Religion is not the subject of the play; it is the problem of comedy”(205). In a Derridian kind of turn, Serres points out that in the Moliere play the host becomes the “guest of the guest.” And this suggests that he becomes a parasite who feeds off of the real guest. This inversion, suggests, Serres, may have religious import. And it turns the comedy into a tragedy. He asks, “did you pay for the comedy or the tragedy?” This turn is a kind of imposture. It imposes on the audience. 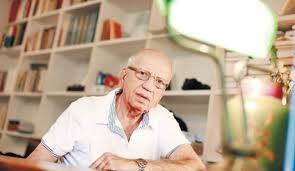 But, in the end, Serres says it is a comedy if the people still remain on stage.” And this is the final swindle. The end of play we learn that Tartuffe isn’t a tragedy. 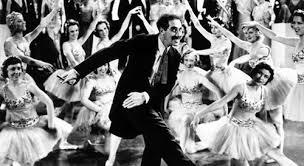 Rather, its only a “sickness.” And the “canonic character of comedy is the sick person.” He survives, but he is sick. Serres notes that this wasn’t simply a jab at the clergy of France. On the contrary, it is a near death. The parasite-comic feeds on but doesn’t kill the host. He wounds the target and, in the process, he becomes sick. And, in the process, he excludes and is excluded. But, as Serres suggests, he survives. He, the comic, drinks the wine of religion. He secularizes and is truly an imposter and an imposer…but he gets away with it. In the end, someone has to pay. And, as I showed above, that someone, for Socrates was Alciabades. Or, as Benjamin argues, it was tragedy. Comedy, it seems, comes with a price. But it doesn’t kill its host so much as drain it of some of its life-blood. Nonetheless, as Serres suggests, even in the house of religion, where the comedian is a guest, the host becomes a guest and also becomes a parasite. For this reason, in the end, the comedian is sick because he is also fed on. Although he takes over the house, so to speak, through comedy, the comedian is also fed on; and, in the process, he narrowly averts death. The crowd gives him life, but it also makes him sick. This is quite a claim. It suggests that the Trauerspiel, against what we read in most of the book, is a dialectic of the comic and the tragic. And that the “dramatic quality” of “pure dramatic language…restores the mystery.” In other words, comedy and irony have a major part to play. Noting that we have all seen the “children laugh where adults are shocked,” Benjamin ventures that the child knows best and is teaching us about the essence of the mourning play which can be found in the relation of comedy to tragedy. The alteration between the cruel and the comic finds its figure in the “intriguer”(126). In other words, the cruel joke, figured in the intriguer, facilitates “contact with the solid ground of wonderfully profound experiences.” I put the stress on wonderful because, as we saw above, Benjamin associates the comic with preserving mystery (going as far back as Socrates). As Irving Howe has pointed out, the relationship of laughter to tears is a running theme in the work of Yiddish literature. For Howe, laughter doesn’t efface the tears of historical suffering. To be sure, for Howe, all the laughter we find in Sholem Aleichem’s stories – for instance – is marred by historical and existential suffering. Ruth Wisse, in her epistolary dialogue with Howe, notes something similar but puts more emphasis on the freedom gained by way of such wit. Nonetheless, Howe and Wisse are in agreement that history and suffering inform much Yiddish literature and humor. This approach to Yiddish literature was, to be sure, carried on by Saul Bellow, Bernard Malamud, and Cynthia Ozick. In it, they say something distinctly Jewish; moreover, they find in this relationship a hard-won freedom and self-awareness that is tenuous at best (because it is threatened with forgetfulness). To be sure, they see Jewish wit (and the existential freedom that is at stake in such humor) in terms of Jewish history and Jewish identity. In reading all of these Jewish-American writers, one is obliged to reflect on how they have translated the relationship of laughter and tears into English because a lot is at stake. For all of the above writers and scholars, the meaning of Jewishness, it seems, is (or has been) wrapped up in a certain kind of Jewish humor: one that is acutely aware of history and suffering. This requires a kind of consciousness that is fixed on the contradictions that plague Jewish life. They must focus on difference. From reading Howe and Wisse, one would think that Yiddish literature, literary criticism, and Jewish-American literature point out the Jewish difference which is or can be conveyed by way of the relationship of laughter to tears. And by virtue of the emphasis they give to this relationship, they make it an imperative to pass it on. Without this relationship, one wonders, after reading them, how Jewishness (and not Judaism), as a tradition, can survive. How can tradition live on if this generation (and its humor) loses touch with Jewish suffering and Jewish history? What meaning will freedom (or humor) have for a Jew if it is not won against the backdrop of history? 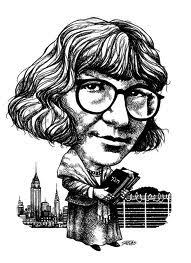 All of these questions are at the forefront of Cynthia Ozick’s “Envy; or Yiddish in America.” As the story unfolds, we see the main character Herschel Edelshtein come into contact with laughter, tears, freedom, and history. His failure, as I have pointed out, is juxtaposed to the success of his nemesis, Ostrover (the Chazer). The difference between the two is not just the prose; as Ozick shows, the difference between them is their position on Jewishness, suffering, and history. In addition, Ostrover has a translator while Edelshtein does not. And this is a fundamental point. The translation that he looks for, from Yiddish to English and from European history to America, seems to be impossible to accomplish since Yiddish and the history of Jewish suffering in Europe has been effaced by the Holocaust. Nonetheless, he tries, to the very end, to get a translator. That is, strangely enough, his only hope. And this makes him a schlemiel of sorts, a schlemiel of history. However, when he comes to realize this impossibility, which would require him to sacrafice history, it doesn’t seem to fully hit home. After hearing these jokes, Edelshtein leaves the lecture hall and runs into a man named Vorovsky (who, as it so happens, is the father of Hannah). Edelshtein thinks of Vorovsky as a “madman” who, after putting 17 years of putting together a dictionary on mathematics, “one afternoon suddenly began to laugh, and continued laughing for six months, even in his sleep”(149). Even after his wife and father died, Vorovsky doesn’t stop laughing. Then he lost control of his bladder and whenever he would laugh he would also pee. This happened at the talk since he laughed at Ostrover’s jokes. In the midst of this, Edelshtein meets Hannah, Vorovsky’s niece. When he learns that she knows Yiddish and is a writer, Edelshtein gets very excited and starts to have hope; he imagines that he, like Ostrover, will have a translator. However, this introduction is cut short when Edelshtein and Vorovsky get in a fight which is rooted in the fact that both of them are failures. And while Vorovsky tells Edelshtein that “translation is no equation” for success and that success for Edelshtein is impossible, he notes that he knows one thing that makes him happy: laughter. But there is more to the story. Vorovsky likes to drink. Edelshtein in a comic dialogue asks Vorovsky to teach him how to be a “drunk.” Vorovsky tells him that to do that Edelshtein must be crazy and a failure. Edelshtein replies that he is “schooled in failure” and is a “master at failure.” However, this doesn’t make him laugh. Vorovsky is different since his failure and madness drive him to laughter rather than bitterness and despair. In response to all of this laughter mixed with tears and waste, Edelshtein starts talking about the Holocaust and death and insists that Vorovsky is laughing “at death, you’re no coward”(170). But Vorovsky, in saying this, is interrupted by Hannah who says, “If you want t to talk business with my uncle come another time.” Edelshtein responds with a roar: “Death is business?” This question leads Edelshtein into a tirade against Hannah which pits history, suffering, and Europe against America and forgetfulness. Hannah claims that “history is a waste” and that she wants nothing to do with the suffering and history of those who lived in Europe and before the Holocaust. At this point, Edelshtein identifies what he does with Jewishness and history while what she does with its opposite: “You’re right about business. I came on business. My whole business is waste”(171). Hannah goes on to make distinctions between herself and Edelshtein and refuses to translate him. And this is the point. If one stands on the side of Jewish history and the other does not, how could it be possible to translate Yiddish into English? He realizes that Ostrover and Hannah think of Edelshtein as being “in the ghetto.” Ostrover “knows a reality beyond realism” (and history) and this makes him, for Hannah, better. Moreover, Hannah thinks that Jews only think of themselves and suffer while Ostrover doesn’t think about Jews and doesn’t suffer. Hearing this, Edelshtein decides that it is better to live in history and suffer than to deny it: “History is my prison”(174). The fight becomes physical and Edelshtein, for the first time, feels like a father scolding his child. He goes so far as to slap Hannah while reprimanding her. But, following this, he feels guilty and sad. He becomes, like his beloved Yiddish, “little.” He then begs her to become his translator. And after repeatedly refusing, he gives up and leaves. But on his way out, he turns to Vorovsky and says something witty; namely, that Aristotle “sends regards.” For, according to an obscure passage from Aristotle: “What distinguishes men from beasts is the power of the ha-ha-ha”(176). In other words, Edelsthein knows, at the end of the story, that Yiddish was killed in Europe and that his failure is personal and collective; it is based on history, suffering, and death. He, like Yiddish and Jewish history, can’t be translated. And although he doesn’t laugh about it, he does understand how laughter, mixed with tears, vomit, and waste, have a place in being Jewish. As a Jew, he inherits the promises of the Torah (and the Messiah) as well as the waste of history. As the joke goes, “you chose us from amongst the peoples…why did you have to choose the Jews.” (The former part is written in Hebrew, the language of the Torah; the latter part in Yiddish, the language of history.) The joke bears this bittersweet legacy. By refusing to adapt and continuing to fail, Edelshtein shows us how one can and even should become a schlemiel of history; for in doing so, one can be free and Jewish. For, in being particular (in being Jewish), Ozick is claiming that one must willingly be the odd one out. And if there is laughter, and that laughter is to be real, Ozick thinks it will most likely be mixed together with tears and the waste of history and suffering. While this laughter may be more authentic, the fact of the matter (and the thought that we are left with) is that no translator can redeem Vorovsky or Edelshtein from history, suffering, and waste. Ostrover’s translation from the Yiddish into English, therefore, is a fake and may deny what makes Jewishness…Jewish. Because of the death of Yiddish in the Holocaust and because America is, apparently, not interested in history, suffering, or Jewish particularity, but in what is “beyond realism,” there can be no translator. One of the more interesting characteristics of the schlemiel relates to his/her timing. The comic character is belated: s/he comes too late to the party or is out of sync with what is going on. But what is most interesting about this belatedness is how the schlemiel relates to it: the schlemiel can either be oblivious to being belated or painfully aware of it. However, even in the latter case, which often leads to bitterness, there is still a blindness that prevails. And the schlemiel, it seems, is swimming in, as it were, invisible ink. Sometimes, however, that ink can be a bitter sea. 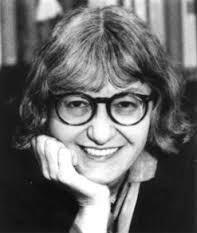 Edelshtein, the main character of Cynthia Ozick’s, “Envy; Or, Yiddish in America,” is a case in point. He is caught up in a dying dream of being recognized in America as a Yiddish writer. Yiddish, as he notes, died in Europe. But this doesn’t keep him from being enthusiastic about it. Besides writing in Yiddish and maintaining a journal entitled A Bitterer Yam (the “Bitter Sea”) he goes from synagogue to synagogue and Jewish community center to Jewish community center to talk about Yiddish. The narrator likens him to a “television stand-up comic” whose humor is bitter, sardonic, and falls dead (like the language he dreams in). Nonetheless, he continues to talk about Yiddish and write in Yiddish although he knows it is dying and will not live on. And, regardless of his humor, he lives a belated existence and continues to swim in bitterness. Ostrover, they complain, is not a real Yiddish writer. Like a pig, he appears to be Kosher (pigs have split hooves on the “outside,” but they do not “chew their cud” and are not kosher in the “inside”) but is not. His writing in the Yiddish lacks the greatness of all the famous Yiddish writers. And his topics are, in his view, vulgar. And, as Edelshtein learns, his popularity is largely based on his translator and is, in many ways, the function of good luck. And that’s the point. Edelshtein has bad luck and this kills him. He feels he is more deserving and is pained by the fact that the youth – the next generation of Jews – love Ostrover while he can only speak to older Jews who give no hope of carrying the tradition on. In other words, the tradition of Yiddish isn’t really be carried on, in his view, by Ostrover. Something else is. Edelshtein is a schlemiel of a rare type because his hope is impossible. He cannot admit to himself that he has failed or that Yiddish in America is closer to what Sidrah DeKoven Ezrahi – in Booking Passage – would call a “virtual shtetl.” To be sure, the person, she argues, who was translated into Yiddish and became a central figure in this virtual shtetl was I.B. Singer. His “Gimpel the Fool,” translated into English by Saul Bellow and published in the Partisan Review, marked the beginning of the new wave. 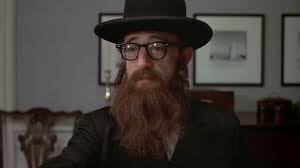 However, Edelshtein’s resentment is based on the fact that he didn’t make it and not just Yiddish. He is the schlemiel because he believed he, himself, could actually preserve the core of Yiddish when America wanted something else, something in English that may have some link to Yiddish – one it will never know. He comes to late, it seems; but Ostrover seems to come in on time. The difference between the two is, as a I mentioned above, a matter of luck; but it also has to do with the fact that America wants to have a “virtual shtetl,” one, so to speak, in its own image. And in this virtual shtetl there seems to be no room for the bitter failure and his journal A Bitterer Yam; or is it, rather, Invisible Ink? After all, who will read him and carry on his legacy? He comes too late and the tradition that goes on, it seems, isn’t Yiddish, it’s virtual. Edelshtein – because he is belated and afflicted by bad luck – seems to be swimming in a bitter sea of invisible ink because no one will read him like they read Ostrover and his virtual Yiddish novels.